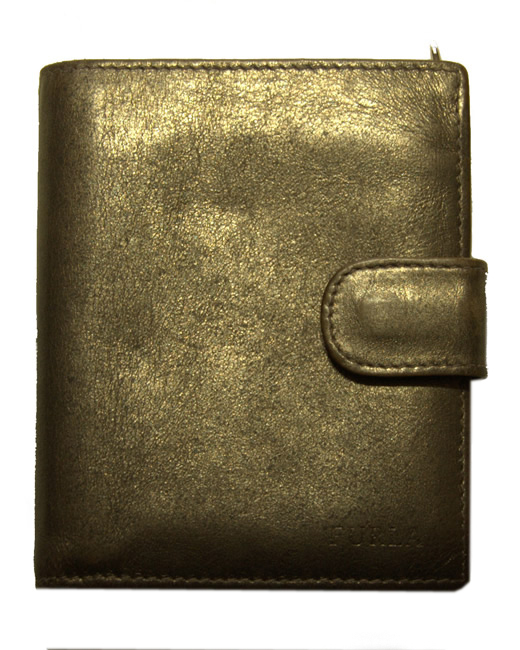 Metallic leather purse which opens to reveal pockets for notes and cards and which has a zip pocket on the other side. Measures 4.5″ (12cm) x 4″ (10cm). There are some signs of wear.